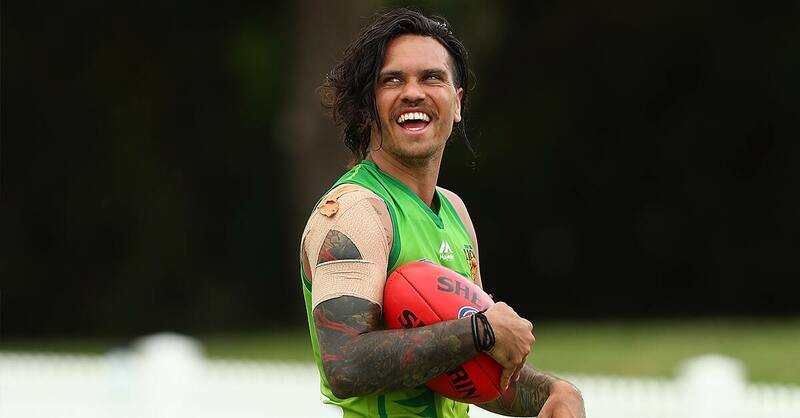 Allen Christensen didn't play a game for Brisbane last year but has walked out of the Lions' 2018 leadership meeting a big winner. Despite a collarbone injury ruling him out of 2017, the midfielder received a massive vote of confidence from his teammates when he was named in the club's leadership group for the upcoming season. "I walked out of that leadership vote thinking I didn't waste the last year of my life - I did achieve something," Christensen told AAP. And in April he copped yet another setback when a crack was found in the surgical plate supposed to be protecting his troublesome collarbone. Christensen believed his 2018 leadership nod was a reward for the mindset he had to adopt after what seemed to be the final kick in the teeth - the discovery of a crack in the surgical plate. "When they found the plate was broken it was almost laughable - I couldn't believe it," Christensen said. "The club gave me a couple of weeks off to get my mind right. "But I changed my whole mindset about the injury - I took it as an opportunity to really help the club. "I thought 'this is not going to be about me anymore, it is about how I can help the club'." Christensen became heavily involved in the Lions' NEAFL side, becoming coach Mitch Hahn's right-hand man. His positive mindset will also come in handy when Christensen finally puts his injury-plagued collarbone to the test and returns to the field - possibly as soon as this weekend. He is hoping to feature in Brisbane's AFLX games in Sydney on Saturday. Overall he has had four operations, added 4kg to his upper body and waited what seemed an eternity since that fateful 2016 injury. Still, Christensen is understandably nervous about a return. "I think about it (playing again) every now and again and get a bit nervous but I think I have done enough work to hold myself in good stead in a contest. "And I don't think my dad would forgive me if he saw me pulling out of a contest, that has been ingrained in me since I was a little kid."